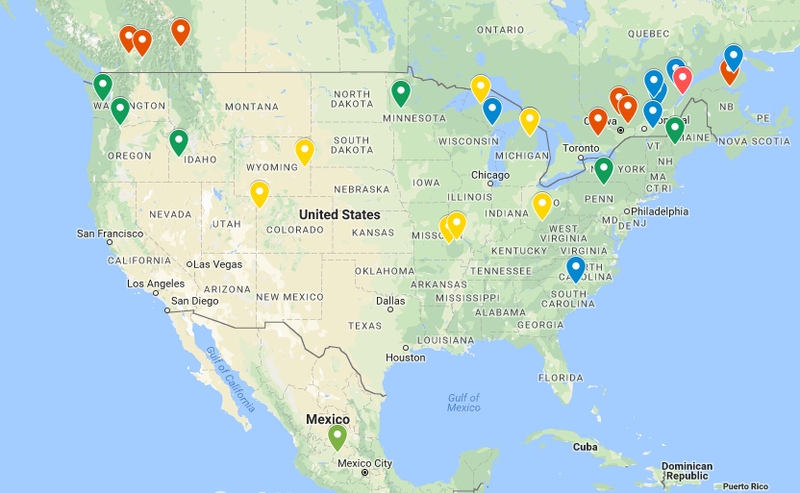 Here’s the 2018 North America Rally Map. Sixteen events announced so far in the U.S. and thirteen in Canadia. NASA Rally Sport has yet to release their U.S. calendar and Canada hasn’t announced their regional events (not to mention the California Rally Series, the Tri-State Rally, and possible regional additions from Rally America or ARA) so there’s probably still about 20 more pins to go up. Yellow for Rally America, Green for ARA, Blue for NASA, and Red for Canadian Rally Championship.